We often hear about the hidden costs of hosting a wedding (cake-cutting, corkage, etc) but less is said about the hidden costs of attending a wedding, especially for certain guests. What about the single mother who has to pay for a babysitter? What about the freelancer who loses a day of work? 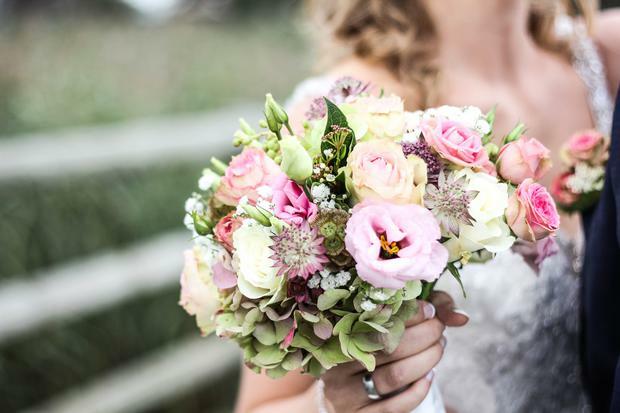 The budget is of paramount concern to every bride and groom (find out how much the average Irish wedding cost in 2017 here! ), but in an era of increasingly ostentatious weddings, we ought to be thinking about our guests' financial arrangements too. If you're hosting a wedding abroad, be mindful of your guests' annual leave by taking advantage of weekends and public holidays. Also, assuming you're not an oligarch, keep the hen and stag parties simple and local. If children aren't allowed at the reception, your guests will more than likely have to pay for a babysitter. Acknowledge the additional expense by making it clear that you don't expect a gift from them. If your guests have booked accommodation in the locality, hire a shuttle bus to transport them back and forth to the venue. Taxi fares add up - especially if it's a two or three-day event. Do you really need those little bags of sugared almonds for each and every guest? Just put the money behind the bar. Your guests will thank you for it. Black tie looks fetching but it can cost an arm and a leg. Give it a second thought if your guests aren't fully-fledged members of the 1% Club. And finally, if your ability to pay for a wedding is entirely dependent on guests' contributions, then it's fairly safe to conclude that you've gone way beyond your budget. Find out how much Irish wedding guests estimate they'll spend on attending weddings in 2018 here. The Vow magazine summer 2018 edition is out now!